Microsoft will release security updates for applications in its Windows Store as those patches are available in order to speed up the updating process. 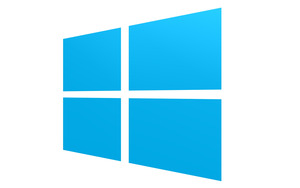 The policy will apply to applications that are preinstalled on Windows 8 but updated through the Windows Store, such as Mail, wrote Mike Reavey, senior director of the Microsoft Security Response Center, part of the company's Trustworthy Computing group. The Windows Store, which opened to developers in September 2012, is an application marketplace where users can buy programs for Windows 8 and Windows RT computers and tablets. "Our goal is to have a quick, transparent and painless security update process," Reavey wrote. "With this in mind, we will deliver high quality security updates for Windows Store apps as they become available." Faster updates means that new functions can be added more quickly, issues can be fixed and security is improved, he wrote. It will also help developers avoid introducing problems during the update process. Microsoft will also publish security advisories for updates. To update their applications, customers click on the application's tile in the Windows Store and select it, Reavey wrote. The company releases updates on the second Tuesday of the month for its operating system, although the company will release an out-of-cycle patch if the security problem poses a widespread threat.